This is a must-read for any designer out there! Blacktie.co is a side project of Carlos Alvarez, a theme crafter in his own words. He ‘s not available for freelance work at the moment, so don’t bother to ask. 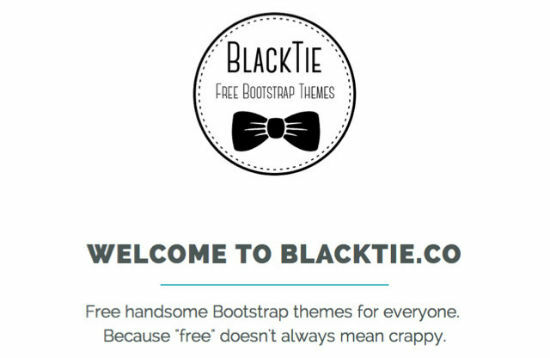 On Blacktie.co, Alvarez offers free Bootstrap 3 themes in premium quality. At the time of this writing there are "only" seven themes available, yet all of which are of high quality and keep the promise to be "premium". A good month ago, on the 6th of October 2013, happy Dreamhost customer Alvarez registered the domain Blacktie.co. Since then a lot has happened. 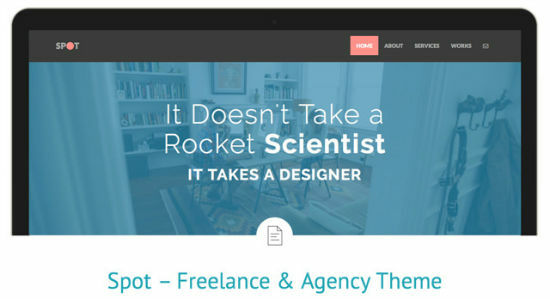 Today we can choose from seven Bootstrap 3 themes to download. Alvarez promises bi-weekly updates. The already available themes cover the most frequent use-cases. You’ll find a theme for freelancers and agencies, a popular one-pager, a vCard or "Coming Soon" page, an app’s landing page and then some. If you want to download a theme, an email address is required, to which the download link will be sent. Obviously Alvarez wants to build himself a neat, little database of potential customers. He isn’t into hard selling, though. You can reject to allow to receive further emails besides the download link. Additionally, entering an email address is only required for the first download. After that you are a registered user and as such allowed to download themes directly from the site. All themes are licensed [Creative Commons Attribution 3.0](Creative Commons Attribution 3.0 License), which allows you to use and modify the themes in private and commercial projects alike. Precondition is keeping the backlink in the footer of the page intact. If you don’t want to suvbscribe to the newsletter to keep yourself updated on new themes, you should consider following Alvarez’ Twitter. All themes are zipped downloads and are served via Carlos’ Dropbox. After unpacking you could be uploading them as is, and they would work from your site folder. Chances are you’ll want to modify a thing or two, think of content, for example. Don’t bother to look for any documentation, there is none. Yet, the structure of the themes is pretty straightforward and should not put any designer with a slightly more than basic knowledge into trouble. Thus, I wouldn’t recommend Blacktie.co to the absolute beginner. All others will get going quickly. So, what are you waiting for? Hey, Thank you so much to feature my site here! It is a real honor. Thanks a lot! Simplicity is the key. Glad to see a flat design.